Katie is a Chartered Legal Executive and member of the Chartered Institute of Legal Executives. 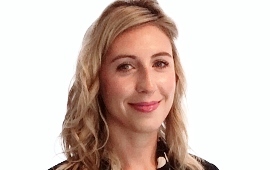 Katie originally joined QualitySolicitors Dunn & Baker’s Private Client Department in July 2014, having spent eight years previously working in another local firm in their Private Client Department. Katie qualified as a Chartered Legal Executive in 2017. Katie specialises in Private Client matters and in particular provides advice and assistance to people wishing to protect their assets for the next generation. Katie deals with the preparation of Wills, Powers of Attorney, Court of Protection work and Estate Administration including intestacies. Katie works at the Exeter office, but is always willing to cater for clients’ specific needs such as the need for a home or hospital visit. She aims to make what can be a sensitive and stressful time a less worrying experience and will provide support throughout the process.